Maple Coffee - 1 cup Half-and-half, ? cup Maple syrup, 1 cup Hot brewed coffee, Sweetened whipped cream. Cook half-and-half and maple syrup in a saucepan over medium heat, stiffing constantly, until thoroughly heated (do not boil). Stir in coffee, and serve with sweetened whipped cream. Mexican Coffee 1 - 1 large preheated brandy snifter, 10 ounces brewed coffee, 1 ? jiggers Kahlua liqueur, ? cup lightly whipped coffee, dash of each of ground cinnamon and cocoa powder. Pour hot coffee in the heated brandy snifter. Add the liqueur and stir well. Top with whipped cream. Sprinkle with cinnamon and cocoa powder. Mexican Coffee 2 ? 1 oz. Coffee Liqueur, ? oz. Tequila, 5 oz. Hot Coffee. Stir coffee liqueur and tequila in coffee cup, and add coffee. Top with whipped cream. Mexican Spiced Coffee - ? cup firmly packed Brown sugar, 6 Cloves, 6 Julienne slices orange zest, 3 Cinnamon sticks, 6 tbsp. Coffee (NOT instant). In a large saucepan, heat 6 cups of water with the brown sugar, cinnamon sticks, and cloves over moderately high heat until the mixture is hot, but do not let it boil. Add the coffee, bring the mixture to a boil, and boil it, stirring occasionally, for 3 minutes. Strain the coffee through a fine sieve and serve in coffee cups with the orange zest. 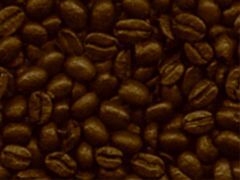 Mexitaly Coffee - ? oz. Coffee Liqueur, ? oz. Amaretto, rest Hot Coffee. Dip rim of Irish coffee glass in cherry juice, then in cinnamon sugar. Pour liqueurs into glass and add coffee. Top with whipped cream and shaved chocolate. Mint Patty ? 1 oz. Cr?me de Menthe, 1 oz. Cr?me de Cacao, rest Hot Coffee. Pour liqueurs into a cup. Fill the rest of the cup (about 6 oz.) with coffee. Top with whipped cream and add brown sugar to your taste. Mit Schlag (With Whipped Cream) - Brew a rich, strong cup of coffee. Top with a generous potion of fresh whipped cream. Optionally garnish with chocolate shavings or cinnamon sticks. Serves 1. Mocha Frappe - 18 Ice cubes (up to 22), 7 oz chilled double strength coffee, ? cup Chocolate sauce (or syrup), 2 T Vanilla Syrup, Whipped Cream (garnish). Place ice, coffee, chocolate sauce, and syrup in a blender. Blend until smooth. Pour into a large, tall (chilled) glass. Garnish with dollop of whipped cream or scoop of your favorite ice cream. Makes one 16 oz frappe. Mocha Frosteds - 1 cup freshly brewed coffee, 6 tablespoons chocolate syrup, 1 pint softened vanilla ice cream, 1 cup prepared cold coffee. Place hot coffee and chocolate syrup in blender container. Blend until smooth. Cool to room temperature. Pour into a medium howl. Add softened ice cream and cold coffee. With rotary beater, beat until smooth. Spoon into tall glasses, and serve immediately. Serves 4. Mocha Mint - 1 cup cold coffee, 1 pint chocolate ice cream, 1/4 cup Cr?me de Menthe, very thin chocolate-mint wafers. Combine coffee, ice cream, and Cr?me de Menthe in blender container. Blend on low speed. Spoon into sherbet or wine glasses, and garnish each serving with a chocolate mint wafer. Serves 4. Nirvana Shake - 2 shots of espresso, 1/2 shot of amaretto syrup, 1 1/2 shots of chocolate syrup, 3 oz. liquid yogurt, 2 cups crushed ice. Blend all ingredients in a blender until smooth & serve in a 16 oz. glass topped with chocolate whipped cream. Orange Cinnamon Coffee - ? cup Ground coffee, 1 tbsp. Grated orange peel, ? tsp. Vanilla extract, 1 ? Cinnamon sticks. Place coffee and orange peel in blender or food processor fitted with steel blade. With processor running, add vanilla. Stop and scrape sides of container with a spatula. Process 10 seconds longer. Place mix in a small bowl and stir in cinnamon sticks. Store in refrigerator. Mix for eight 6 ounce servings. Pluto Coffee - 12 oz Fresh coffee, 2 oz Or more 151 Rum, 1 Large scoop whipped cream, 1 oz HagenDaz Liqueur or Baileys Irish Cream, 2 tbsp. Chocolate syrup. In a large mug, put the 2+ oz of 151 rum in the bottom (have a little to taste test if you wish!). Pour the hot coffee into the mug ? of the way up. Add the HagenDaz or Bailey's Irish Cream. Stir. Top with the fresh whipped cream and drizzle chocolate syrup over all. Praline Coffee - 3 cup Hot brewed coffee, ? cup Half-and-half, ? cup Firmly packed light brown sugar, 2 tbsp. Butter or margarine, ? cup Praline liqueur, sweetened whipped cream. Cook first 4 ingredients in a large saucepan over medium heat, stirring constantly, until thoroughly heated (do not boil). Stir in liqueur; serve with sweetened whipped cream.